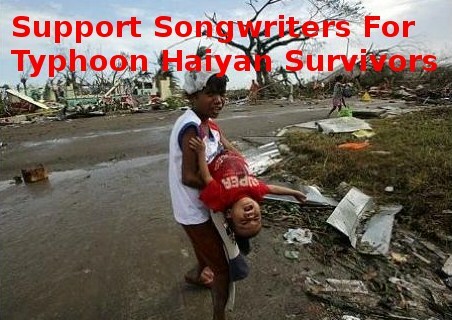 The world's leading Songwriting Competition - USA Songwriting Competition launched a campaign "Songwriters For Super Typhoon Haiyan" on Saturday. Millions of people in the Philippines need our help. The massive storm has caused catastrophic damage throughout the island nation. Hundreds of thousands of people have been displaced and are in urgent need of food, water and shelter. USA Songwriting Competition and Mercy Corps has launched immediate relief efforts to help meet these critical humanitarian needs of survivors and is accepting donations to help survivors.